What was the inspiration for your short story? I wrote ” You Should Get That Tap fixed” after coming downstairs at dawn one morning for a glass of water. As I walked into the kitchen I could hear the tap dripping onto the stainless steel of the sink. It all seemed rather pure and elemental. I wrote “Flood Tide” a while back. I spend a lot of time on the shores of the Severn Estuary mostly birdwatching. There are many muddy creeks with old hulks lying around. Recalling these I started to write this poem about old boats and hadn’t got far into it before I realised that the boats and the old men that sailed them were a metaphor for lost virility/vitality: My poem had, at first subconscious, sexual undertones. Why did you contribute to the OWAW anthology? I contributed to OWAW because it’s nice to get stuff published. However, I was also happy to contribute to something that might help Water Aid. I worked in the field of water nearly all my life and have contributed to the charity and raised funds for it during my career. In developed countries we take plenty of good clean water for granted. We turn a tap and out it comes. We are so used to it that we find it boring to drink and add stuff to it like tea, coffee, whisky, if we’re a bit sweaty we take a shower. We don’t often stop to think that in many parts of the world folk walk miles just to get small quantities of bad water that could give them horrible diseases. Their crops die due to the lack of it. Water Aid is changing lives and is part of the process of helping people world wide to achieve their true potential. There is a massive amount of work to do but we shouldn’t be daunted. It would be nice to be in OWAW 2015. At the moment I am rewriting an autobiographical short story called “The Boat”. I’ve had several goes at this story over the years and this time it is coming together well – I hope that it is suitable for OWAW. I am continuing to produce poems and have recently submitted some to magazines and have entered some into the U.K. National Poetry Competition. My chances of being placed in the competition are pretty slim but hey- why not? 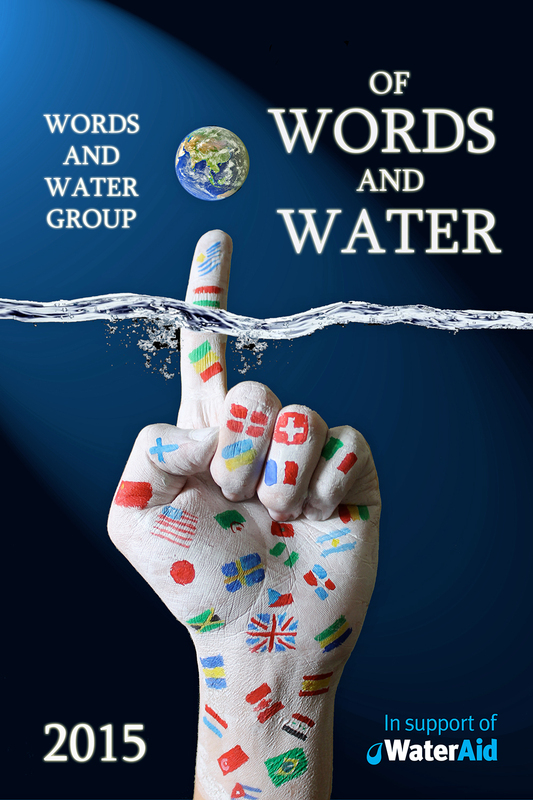 This is the first of a series of interviews introducing the authors of the Of Words and Water Group. K. A. Krisko is first up! The Ford pickup growled as it downshifted. Raye Kellin took her foot off the gas, flicked off the siren, and snatched the radio mike from its clip on the dashboard. She slipped the radio mike back into the clip, but didn’t bother to re-activate the siren. She was sick of hearing it after twenty-one miles. Twenty-one slow miles, up the rising, winding mountain road through Bureau of Land Management property, populated only by mule deer and cows. Any other time, she’d be enjoying the view: the huge, striated hump of Dutch Mountain to the west with the radio repeater towers bristling from the top, the stark, red-rock canyons to the east and north, slipping in and out of sight through the scattered groves of pinyon pines and junipers. But now her mind was on the motorcycle accident that was supposedly waiting up ahead, with an unconscious victim and a busload of Japanese tourists sidelined by the collision. What was your inspiration for your short story? This short story was specifically inspired by the theme for the 2014 OWAW and by my career as a park ranger. I was able to meld my true experiences with the fictional event leading to the main character’s realization that people shouldn’t necessarily be judged by first impression, or by stereotype. Do you plan to contribute to the 2015 anthology? I’m currently concentrating on updating my writing blog and my DIY blog, and on starting a blog about my troublesome dog, Carter; working on a long-short or novella that will anchor a new collection of shorts; and working on sequels to my contemporary fantasy, “Cornerstone: Raising Rook” and my mystery, “AFTERThought”. I’ve got a lot on my plate! 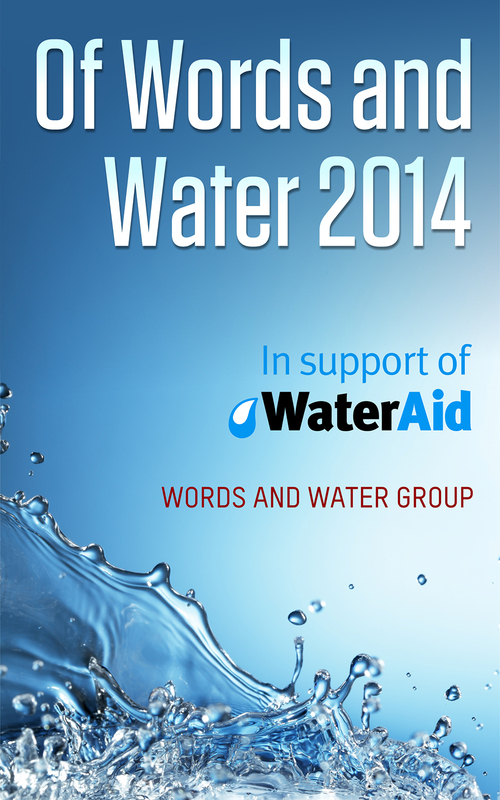 Of Words and Water 2014 has now been available for four months and we’re closing in on our target of raising £500 for WaterAid. Meanwhile, next year’s anthology is already brewing – the loose theme being “a helping hand.” George Gould from Hotmugdesign has designed the cover for the 2015 anthology. And if you are interested in contributing, please fill out the contact form. Competition: Do you want to be the cover designer for the 2014 anthology?